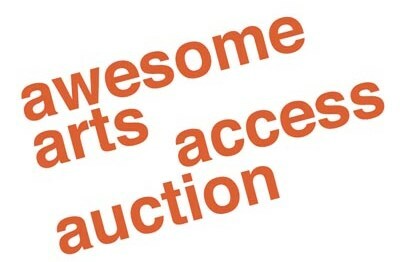 Luxury getaways, affordable art from the quirky to the collectible, Cuba Street treats, and tickets to live performance are among the 60 items up for grabs at the annual Awesome Arts Access Auction, to be held at Te Auaha NZ Institute of Creativity, Dixon St, Wellington on Wednesday 14 November. “The auction is a great opportunity to have some fun, buy some Christmas presents, and also support the work we do to increase access to the arts for everyone in Wellington and the rest of the country. As in other years, the live auction will include the very popular luxury getaways to Auckland, Taupo, New Plymouth, Wellington, Christchurch ­– and this year, five nights in the luxurious Hilton Beach Resort and Spa in Denarau, Fiji. the Velvet Blue Dowse Quilt and four funky cushions, created by the up-cycling, community sustainability sewing project, Vinnies Re Sew Kilbirnie and including panels created and signed by Deputy Mayor Jill Day and Councillor Brian Dobson. Items in the silent auction include beauty treatments; fine dining; signed copies of a collection of books by Dame Fiona Kidman; and tickets to live performance. Along with a free first drink and canapés throughout the evening, there will be live jazz. Auctioneer Grant Henderson of Bayleys Real Estate is volunteering his time and expertise to persuade the punters to increase their bids for a good cause. If you are unable to attend the Awesome Arts Access Auction, you may wish to make a donation to support Arts Access Aotearoa. The Awesome Arts Access Auction will be held in Te Auaha, Dixon St, Wellington on Wednesday 14 November. Buy your $20 tickets online or from Dawa Devereux (T: 04 802 4349 E: dawa.devereux@artsaccess.org.nz). Doors open at 5.45 pm and the event kicks off at 6pm. Original generation time 1.4992 seconds. Cache Loaded in: 0.0004 seconds.